Operating Range -35°C to 50°C. 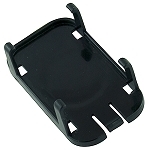 Mounts Easily Using MaxiLog Mounting Bracket. 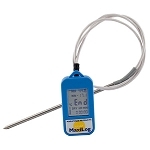 The MaxiLog is our most economical logger that contains an LCD display. 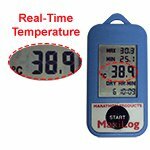 It monitors a wide temperature range of -35°C thru 50°C which is suitable for most cold chain applications, as well as life sciences research. 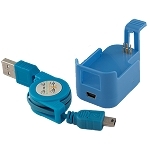 This small splash proof logger is about the size of 2 AA batteries and is designed to be placed directly in the environment/container it is monitoring. 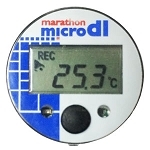 Mission critical data is always on its display, making it well suited to applications where quick access to key temperature data is vital. 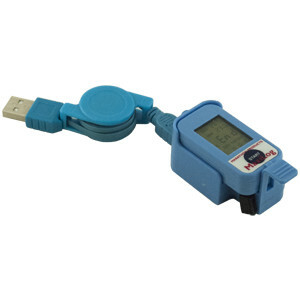 These multi-use loggers can be downloaded, reconfigured, and deployed numerous times, and can last for months to years in most applications due to the ample storage capacity and battery life. These reusable loggers can be far more cost effective than their single-use counterparts. Variable logging rate set by either time between readings or mission duration. 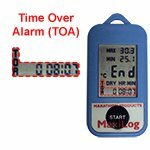 High and low alarm thresholds. User defined label (e.g. Produce PO# 6254, Biolab Refrigerator). 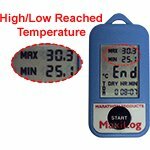 Once configured, the MaxiLog stores the settings, and waits to be launched with the "Start" button. 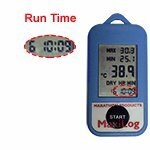 The ability to initiate the logging process by pushing the start button makes it extremely convenient to preprogram MaxiLogs and start them when ready. 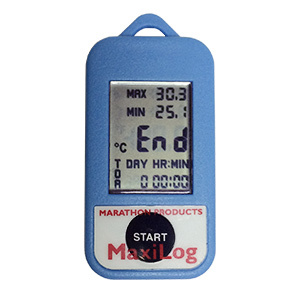 The MaxiLog's battery is rated for 2 years of use in typical* applications, and is factory replaceable. 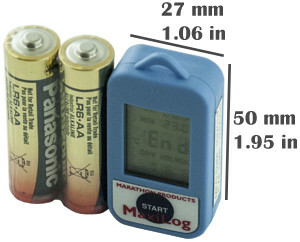 If a logger's battery is depleted prior to its data being downloaded, the temperature data is retained and will be accessible once the battery is replaced. Logger Size 2.18" x 1.07" x 0.55"